If you aren’t doing these six things in your social media strategy, you should start today. With over 2 billion active social media users worldwide, establishing a strong social media presence will play a huge role in your online marketing success. More consumers today are following and engaging with their favorite brands on social media. 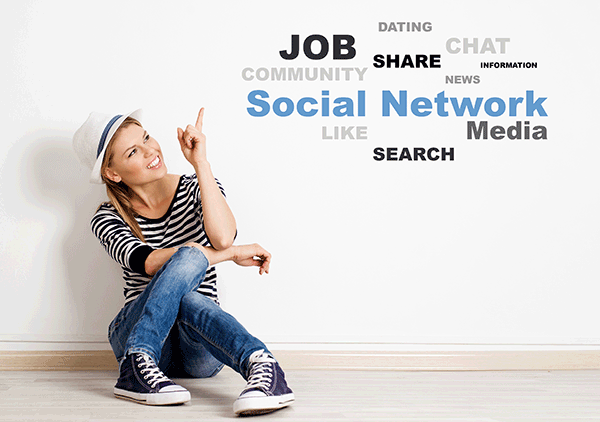 In fact, a third of millennials state that social media is indeed their preferred channel for communicating with businesses (Source: Business2Community). Therefore, bolstering your social media marketing habits is extremely important to appealing to your audience and yielding positive results from your strategy. From improved follower engagement, better lead conversions, to increased revenue, implementing best practices will help generate desired outcomes for your brand. Your entire content strategy should align with your target audience and their pains, challenges, and interests. Each social media post that you publish should have a clear goal and speak to your intended audience to capture attention. The more you share content that educates, informs, and relates to their needs, the better responsiveness you’ll create from your posts. Developing buyer personas is perhaps the best way to getting clear on your target audience and will serve as a guide in your content creation process. Having an active presence on social media means maintaining a consistent schedule where you post content regularly. Followers need to see you daily for your brand to remain “top of mind” and the go-to source for information. The good news is there are many social media management tools especially designed to plan, organize, and schedule your social posts to stay fresh in your strategy. Apps like Hootsuite, Buffer, and MeetEdgar are user-friendly assets helping brands improve their brand awareness and social engagement. Choose the one that works best for you and your team and commit to using it to its full advantage. A major benefit to social media marketing is that you can use a plethora of content types to get your audience involved in your posts. From videos to funny (where appropriate) GIFS, you can leverage multiple types of content to appeal to different audiences while giving followers a variety of ways to connect with your message. Knowing when to share your social media content is just as important as publishing your posts regularly. You see, there are certain peak hours when your unique audience is most responsive to your content. 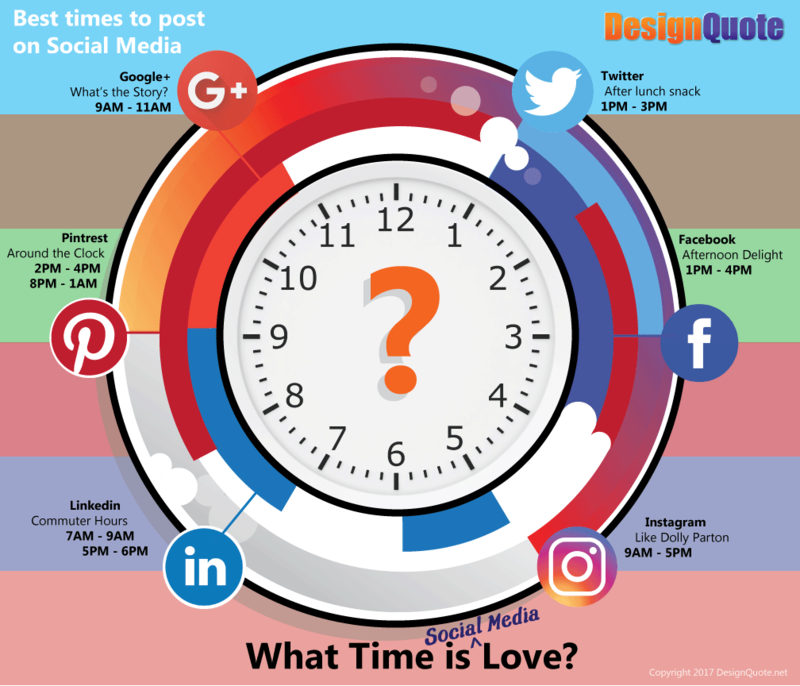 Although studies reveal the best times to post for each social media platform, you’ll become much more effective when you know the optimal times for your followers. Tools like Buffer and CoSchedule offer built-in analytics that shows the ideal times to share your content on various social platforms. You’ll know when your audience is most engaged so you can yield greater results from your postings. #5 Don’t Forget to be social! Remember, social comes before media…so interact, engage and have fun with your followers. Don’t just share your posts and walk away. It’s important that you respond to comments to reveal the human side to your brand. Also, personally inboxing fans to initiate conversation separates you from competitors, giving you the slight edge. So like, share, and comment on their content! Be responsive and in tuned with your audience. You’ll be amazed at how these personal touches will accelerate your social media presence and online success. #6 Test, Test, and Test Some More! The key when implementing these and any other social media tactics is to discover what resonates with your target audience. You’ll want to test, collect data, analyze and modify so your strategy is producing results. 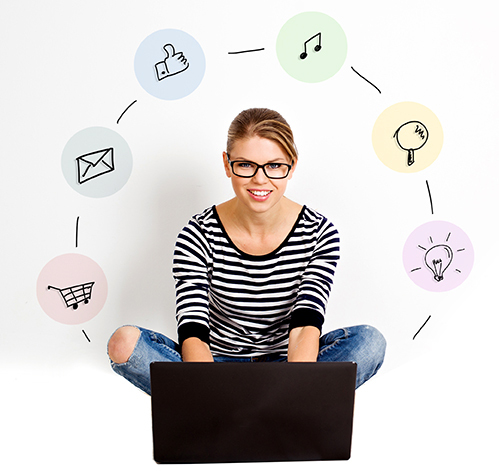 Ask yourself, when is your audience most active online? What content pieces do they tend to engage with the most? Again, leveraging a social media management tool along with Google Analytics can help you determine this information. Knowing it will position you to give your audience more of what they want…and foster better marketing. Implementing these social media habits will certainly bolster your brand’s presence on your networks and yield consistent returns in your business. The key is to remain consistent, find what is working best with your audience, and ramping up from there.